Wedding season has added some inches to my waistline and my decorative paper collection is growing bigger and better every weekend. Instead of throwing away those invites that bride’s and groom’s family spend a fortune on, make good use of those gorgeous patterned and prettily designed papers to entertain yourself and the kids. Here’s what I did with a few wedding invites. Here’s how you can make them from wedding invites instead of spending a bomb on buying craft paper from the stationary store. It is “reuse and recycle” made chic and pretty. 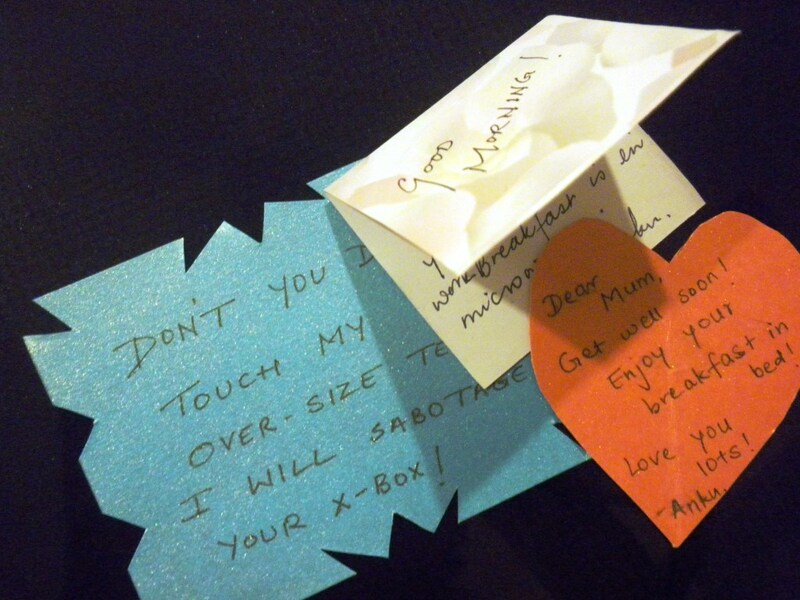 Wedding invites come in envelopes. The closing flap is usually not glued. Cut off the closing flap, trim its edges. You can make it a regular rectangle, a rectangle with the edges cut in curves or a hexagon. www.grouchyrabbit.com or for great inspirational or situational quotations, visit www.thinkexist.com. Handy Tip: Sometimes bookmarks are shorter than the book. And while you can locate it, it’s easier to ensure that it’s visible at all times. 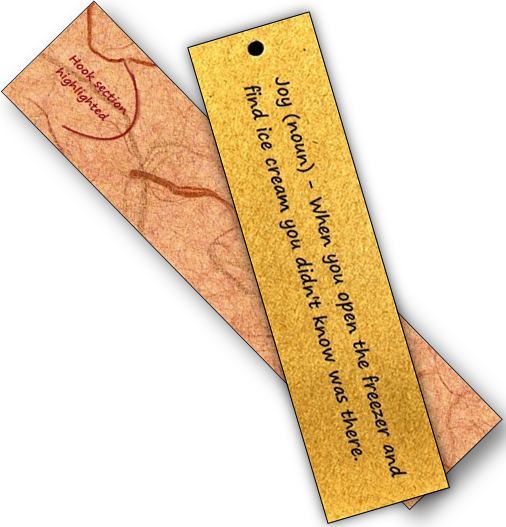 You can cut along the lines shown in the illustration and make a hook for the bookmark to stay in place so it’s clearly visible. If that’s too much to do for a simple bookmark, just punch a hole in the centre of the top one centimetre and tie a used ribbon or a piece of coloured twine! And it’s ready! 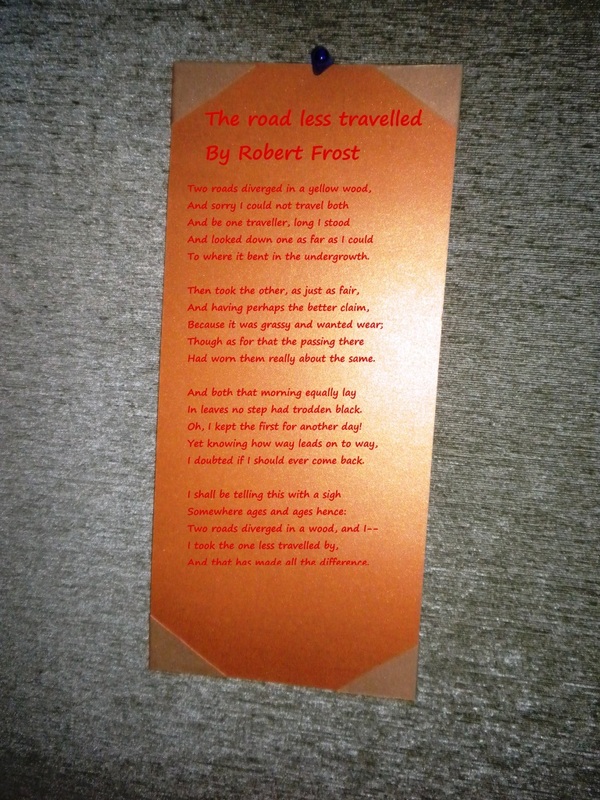 The card on which the invite is printed is usually a longish rectangle. Some invites have two cards – one for the wedding ceremony and another one for the reception. You can turn this into a photo frame. Put a nice picture and gift it to someone or just keep it by your bedside, your child’s study table or pin it to the soft board at your office desk. If there is no card in the invite, you can trim the envelope and use the unprinted side of the envelope (where the flap closes). However, remember, since we are re-using a size that’s predetermined, you may have to trim the photograph. Or get a smaller size developed. Stick Card 2 overleaf Card 1. You will have an extra two centimetres sticking out. 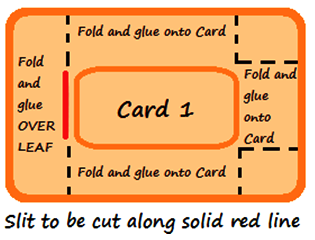 Cut three of the corners along the lines shown in the diagram. 3. Paste three of the folds on Card one. The fold with the corners still intact is to help you slide the photo in. 4. Fold the corners of the fourth in a way as to be able to glue them to the reverse of the display. 5. Once glued, cut a slit on this side so that the photo can be inserted or changed. 6. Fold a wooden ice-cream spoon or even a doubled-up piece of scrap paper from the wedding invite to use as a support stand. 7. Voilà! Your reused paper photoframe with a custom design from the wedding invite paper is ready to store a precious memory! This is easy to make once you have the photo frame base ready. One wall-hanging that I have is of the poem “Desiderata” by Max Ehrmann and another one of Rudyard Kipling’s “If”. I tend to write something in calligraphy because I am terrible at drawing and colouring. 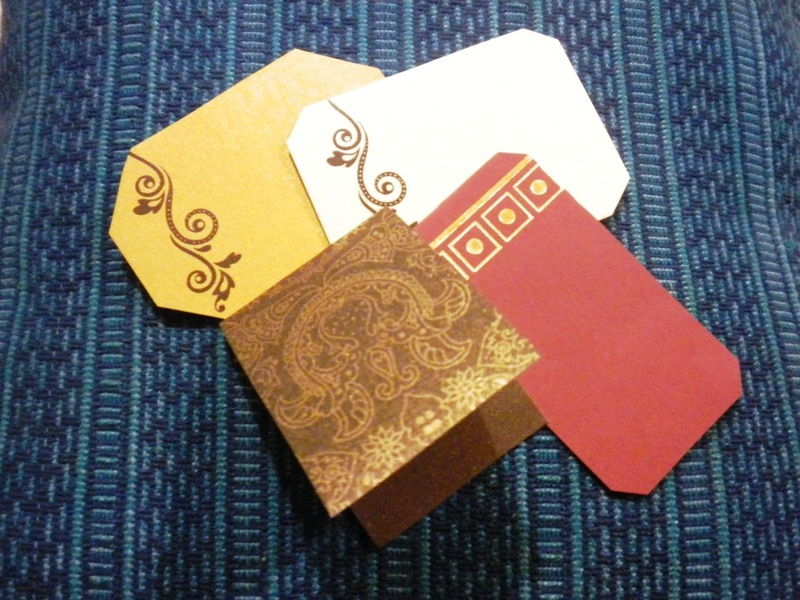 But I have attempted some oriental designs like the simple ones one sees in Haiku books. The easiest thing after painting little cherry blossoms is Warli art. It has stick figures drawn with only triangles and circles using only white paint. Make up your own story and tell it in pictures. Leave a distance of one centimetre from the side you want to be at the top. Punch a single hole or double holes according to your preference for placing it a certain way on your wall. Use a ribbon or coloured twine that’s quadrupled to give it more strength. And voila! Your wall-hanging is ready. I have sent and received several gifts that have been wrapped in a shop and then presented with a tacky card that says “Best wishes, Best compliments from”… I finally decided to make my own gift cards that were personalised and recycled. These are my replacements for “post-it” notes. Use a card or paper from the invite that can be cut into the approximate dimensions of 5 X 7 centimetres or 7 X 10 centimetres. If it is dark coloured paper, write with a silver gel pen. Or a black ink pen if it is light coloured paper that you are using. You can also make it more attractive by adding a border to it with contrast colour trimmings from other parts of the invite. Or just draw a border with a colour pencil. Working with paper de-stresses me immensely. From cutting it to size, folding it, coming up with some design to draw on it, and then gifting it to someone knowing that I’ve given it a touch of “me”, it’s a nice way to show that a person cares. Not just about the people in your life, but also about the environment. So the next time, think of all the use they can be before you dump those vibrant and colourful invites into your raddiwalla’s possession! Categories: Sustainable Living | Tags: DIY, invites, kids project, projects, recycle, wedding invitations | Permalink.